I’m back again with another Top Ten Tuesday post (hosted by The Broke and The Bookish). Today’s theme is Top Ten Of The Most Unique Books I’ve Read but as per one of the suggested variations I am going to do the top ten most unique books on my TBR, which will be more my opinion from reading the blurb with will avoid the problem of me only ever talking about the same few books which I have noticed happening quite a lot in tag/top ten tuesdays. For this list I will only be taking books off my TBR list, which for me is a list of books that I am definitely going to read. Unfortunately considering I am in the middle of going through my TBR again in order to cut it down this means I need to finish that first. Yay, another great way to procrastinate. Ok, that’s done. I may have just cut three hundred books from my multiple tbr piles. Wow. I am so proud of myself. If you want to read about how I cut down my tbr you can check out my How to Manage Your TBR post. Now on to the top ten. But wait, there’s something else I want to discuss first. What is a unique book? How do I pick what is the most unique book? Well for me personally I am going to say that unique book are books that I am unable to find similar books for. So these books might not actually be super unique to you, you might have read a book that’s really similar to it. I read a lot of fantasy so there won’t be many fantasy books on this list because sometimes it feels like I’ve seen it all before. Whereas I don’t read many contemporaries so I am much more easily accepting of common tropes. I really like survival stories, and space stories, and memory loss, and stories with deception and trust problems. However I have never seen all of these aspects in one book. This is probably not the most unique book on the list but it doesn’t sound like anything I’ve read before. It does sound kind of like a movie or tv episode though. Well this book hasn’t actually been released yet so I don’t really know how unique it is. This book kind of reminds me of Heartless by Marissa Meyer in a way, except the character is an anti-hero from the beginning I think? But it’s also an east asian fairy tale retelling, something I haven’t seen much off. 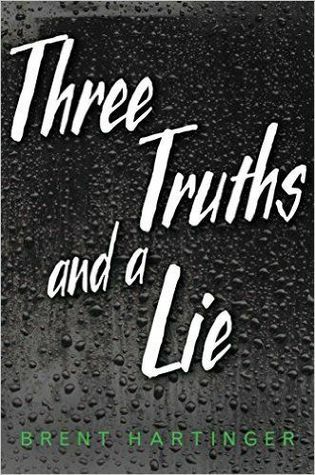 A weekend retreat in the woods and an innocent game of three truths and a lie go horribly wrong. As I said earlier I really love novels with deception and trust issues so this sounds right up my alley. Unreliable narrators!! yay. Only thing is I thought the game was two truths and a lie? Not three truths and a lie… but nevermind. As far as a thriller type novel goes this seems pretty unique. Another currently unreleased novel. Once again, I love space. I also really like competition and survival. Apart from really dystopian novels I haven’t read many books with a group of kids competing like this. 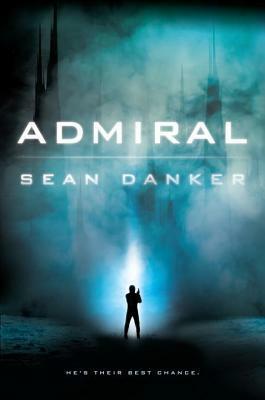 And this book seems kind of sci-fi?? I am excitied. This was released recently and I think it is very unique. Firstly diversity, but also super villains!! I really like the idea of a world where a lot of people have super powers, I am hoping for a kind of sci-fi story. This sounds so cool, and it is quite an old book that has won a bunch of prizes. The first half of the synopsis sounds really stereotypical but the second half!! I get a historical vibe from this but maybe it is set in the current day, either way I am all about this vibe. Well it’s told from a bunch of people who aren’t actually Alice so we get other perspectives. It sounds kind of like a news report where they’re interviewing a bunch of different people sounds really interesting and different. I have been seeing a lot of this book recently and the format is very unique, as is the story in my mind. It is such an interesting idea. I like how intense the plot seems and how big. This is revenge story. A revenge story about teenage girls. I really like the idea of that. I don’t think I have actually read a story like this that doesn’t feel really trashy (for want of a better word), as in I feel like this story will actually have a plot despite the massive amount of cliches I am expecting. Sometimes you just need to read some high school drama. TBH this was a last minute addition because I only had nine books. This world seems so interesting. I love the idea of a world without death and I am so interested to see how that plays out. I am more interested in the world building than the actual plot, but I just want to see how it is done. Those are the most unique books I could find on my TBR. If any of them sound interesting to you then let me know, and if some of these aren’t unique to you because of other books you’ve read then also let me know. I also have wanted to read Scynthe but I just haven’t gotten there yet! Forest of A Thousand Lanterns sound so amazing! I’ve been looking forward to it for SO LONG! I hope you’re able to get to some of these books this year! Ahh yes, both of those books do sound amazing so hopefully I will get to them. Glad you’re looking forward to them too. 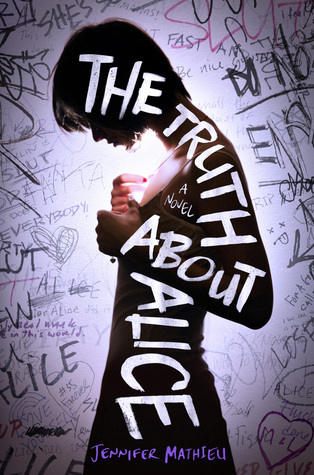 I loved The Truth About Alice! What a fantastic choice! 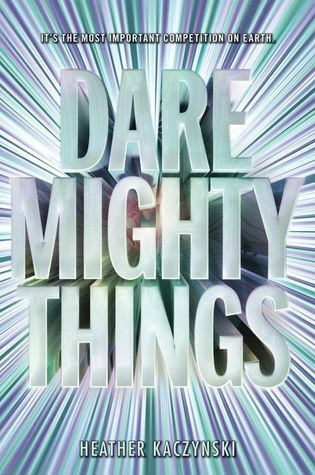 Okay, I LOVE the cover for Dare Mighty Things. I think I need to add that to my tbr. 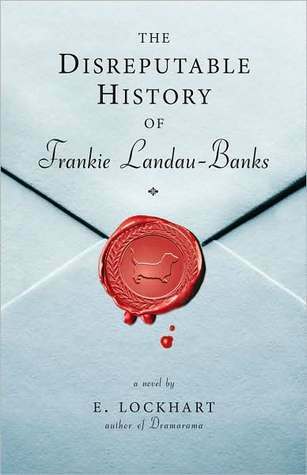 Also, big huge GIANT YES to Frankie Landau-Banks, Burn for Burn, and The Truth About Alice!!! Especially Alice– it was one of my favorite books the year I read it. AHh yes, good to see you liked them all because I do plan to read them super soon. And I agree that cover is gorgeous! My TBR is getting heavier by the minute, I think! Such an amazing list and I’m constantly surprised by how many books I’ve not heard about until I read these blogs. Thanks, there are so many books out there. Good luck with your TBR! Interesting list. I haven’t read any of these! 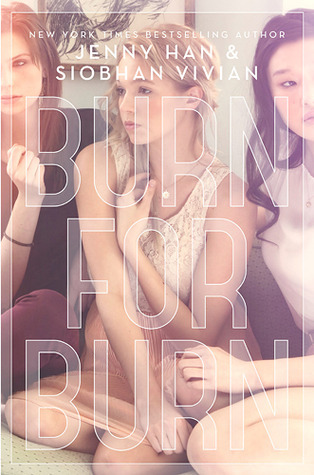 I’ve been on the fence about Burn For Burn, but it sounds like such an interesting series. 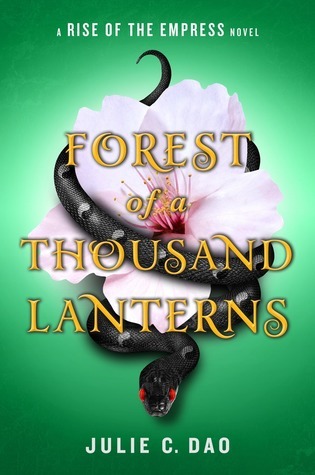 Forest of a Thousand Lanterns is high on my list of most anticipated reads. I cannot wait for that one. Great list! I’m inwardly cringing at pretty much all the covers on this list. XDD But anyways! 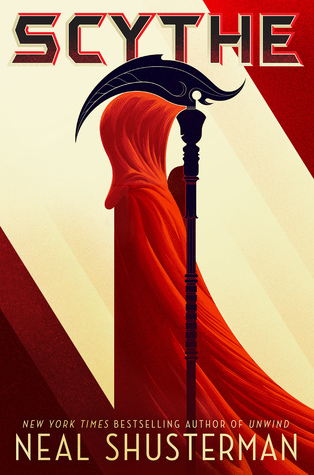 SCYTHE IS SO AMAZING AND YOU MUST READ IT SO I CAN FANGIRL ABOUT IT WITH YOU BECAUSE AAAAAGGGGGGGGGHHHHHHHHHH ROWAAAAAAAAAAN MY BABBBBYYYYYY that ending tho. Awww they’re not too bad haha. Glad to know that you enjoyed Scythe (that might be an understatement haha). XD Yeah, Scythe was awesome! I really want to read Scythe too! 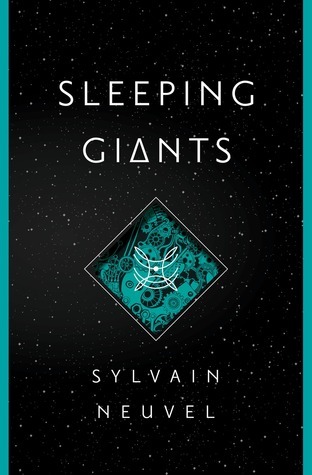 Sleeping Giants and it’s sequel are awesome! Happy reading! 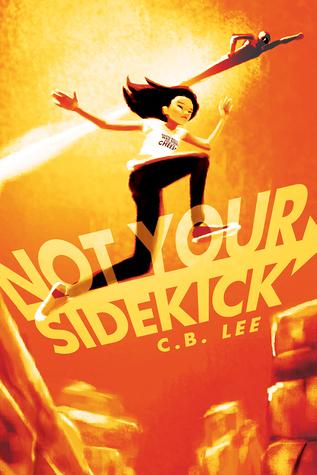 I really like Not Your Sidekick. It’s a bit angsty but there is diversity, villains, superheroes, and a girl who has to deal with being in a family of heroes when she is not. Glad to hear that you liked it, I definitely aim to get to it soon.